Everybody Love Everybody (ELE) pays homage to the American Wheat Ale and the movie it came from: Semi-Pro (damn shame that movie is rated so low, love it). I chose the name as there was some issues going on in life and ELE was very fitting for the situation. It was perfect actually. The inspiration came from scouring the internet, reading magazines (yes, I still get those), and talking to a new brewing buddy: Alex. He is a co-worker of mine that will always look for a reason to chat home brewing. I can’t let a fellow home brewer down; I have to have the discussions. I wanted to make a light beer, with low bitterness, easy to drink and not too taxing on the abv. It needed to be a spring beer that carries some hops flavor and aroma. I ended using a North East IPA style of hop additions: late in the brew kettle, flame out, and dry hopping in primary after fermentation slows. I used Citra and Mosaic hops to get that across with a splash of Azacca. I am hoping the thought that went into this beer comes out in the finished product as I imagined. Enjoy! 2019-03-10 morning: @60.1*F, light fermentation. 2019-03-10 evening @60.3*F, light fermentation. Added heat at 68*F.
2019-03-11 morning: @67.1*F, great fermentation. Took off heat. 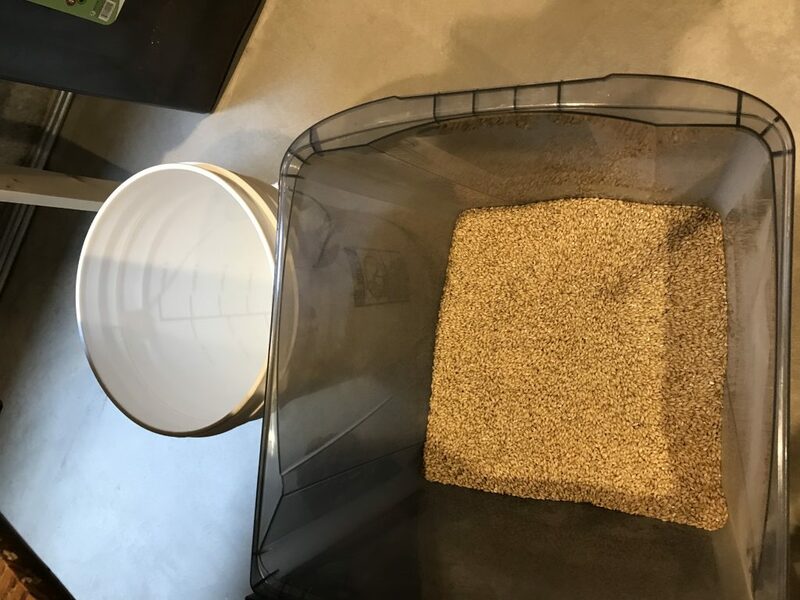 2019-03-13 evening: added dry hops. 2019-03-16 morning: cold crash to 36*F .
Useless Fact: By raising your legs slowly and laying on your back, you cannot sink into quicksand. You are currently browsing the Sips blog archives for March, 2019.